Uri, a refugee from Eastern Europe, hoped for a normal life in Israel. But neither his marriage to an Israeli woman nor his career in the army make an Israeli of him. 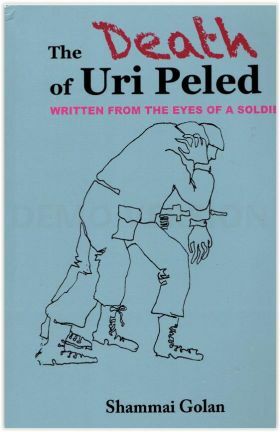 After commanding a reserve company in the battle for Jerusalem in 1967, Uri finds work at the Yad Vashem Holocaust Museum, filing testimonies about the life and death of his lost community. He is haunted by eerie and vivid memories of the ghetto and jolted by every shift of consciousness. The author's great achievement lies in arousing our sympathies for this almost dehumanized man who is ultimately seen in a tragic light. 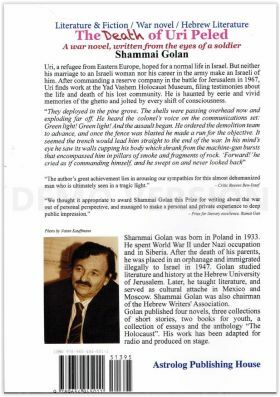 Shammai Golan was born in Poland in 1933. He spent World War II under Nazi occupation and in Siberia. After the death of his parents, he was placed in an orphanage and immigrated illegally to Israel in 1947. Golan studied literature and history at the Hebrew University of Jerusalem. Later, he taught literature, and served as cultural attached in Mexico and Moscow. Shammai Golan was also chairman of the Hebrew Writers' Association. and the anthology “The Holocaust”. His work has been adapted for radio and produced on stage. Laureate of the City of Tel-Aviv-Yaffa (2014).